Denis Savard played center in the NHL from 1980 – 97. He had two separate stints with the Blackhawks. The first was from the 1980 – 1990, the second from 1994 – 1997. During his absence from Chicago, he played for the Montreal Canadiens and the Tampa Bay Lightning. Savard officially retired from professional hockey on June 26, 1997. In November of 2000, Savard was inducted into the Hockey Hall of Fame. 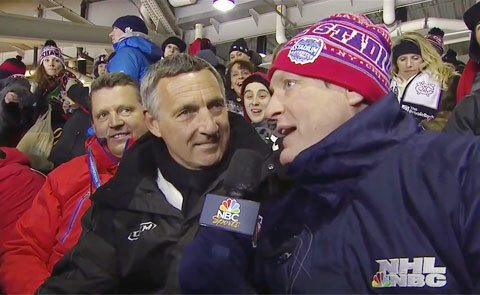 Watch Denis Savard interview during the 2014 NHL Stadium Series in Chicago.